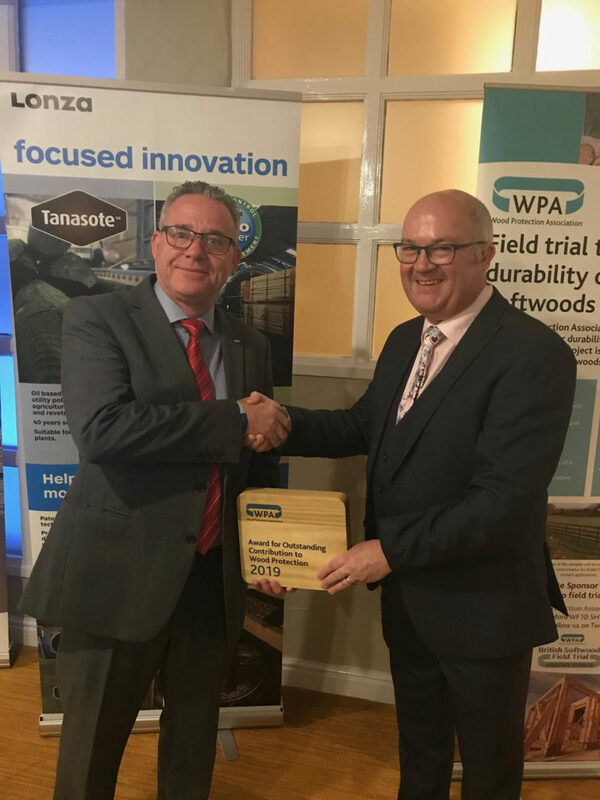 On Wednesday of this week Dr Mark Hull, Lonza’s Field Technical Services Manager, was presented with the inaugural Special Contribution to the Industry award at the annual UK Wood Protection Association’s annual awards event. Mark has been working with Lonza for over 20 years and following his nomination he received many tributes from Lonza’s customers across our European and African markets where he has been personally involved in helping to raise and maintain their standards of preservative treatments, allowing their reputations and businesses to grow. Many congratulations Mark! Well deserved.